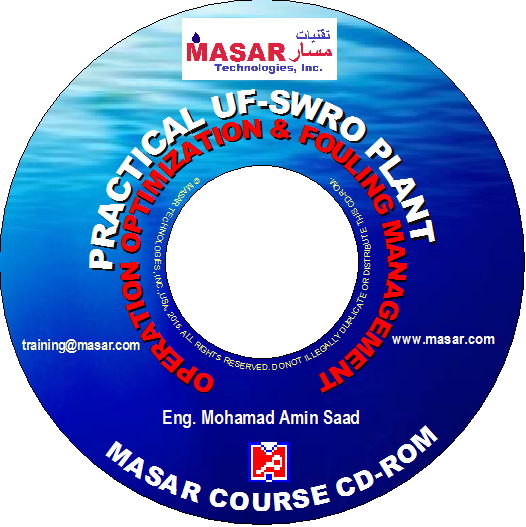 MASAR Technologies, Inc., provides medium to advanced level of specialized and practical training courses and workshops on membrane technology and process based water desalination & filtration (RO, UF, etc.) applications, either in conjuction with major industry conferences, or special events and customized coursess and workshops for your organization's personnel (classroom and/or on site). We also provide recent course and workshop CD-ROM's which can be ordered separately when available. Contact us today to learn how can we help you train your plant's operators, engineers and superviors on all practical aspects of the membrane technology applications, and also check our upcoming training events worldwide. You can also request a training proposal for your company to meet your specific needs and technical & scheduling requirements.